We're looking for volunteers to help invite neighbors to our next general meeting in late May. We'll meet Saturday May 12 AND Saturday May 19th at 10:00am at 221 Eureka Street, and the plan is to take a couple blocks each and place door hangers on every door we see. As easy as you want to make it- if you'd like to knock and talk- that's great, or if you'd prefer to just tag the door handle and skidaddle, that's ok, too! Vote on Projects to Make Our Neighborhood Better! District 8 Castro/Eureka Valley peeps- here's your chance to spend a little city money making our civic spaces a little nicer... vote for the projects you want most! Members- I need your help! As you know, we've made great gains this year getting our association set up, staffed, and activated once again. It's been an amazing journey, and I'm always thinking about what I can do to make it even better, and who can help me make it so for us. I'm looking for a few special people with some very important skills... might this be you, or someone you know who is looking for a volunteer gig? 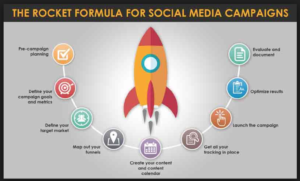 1) A Social Media and Marketing Campaign Manager. I'm looking for a creative and passionate person to help EVNA get the word out about who we are, what we do, and how others can plug in. The right person will have exceptional skills and creative ideas in the social media/marketing space to help us create and implement a consistent and branded message to encourage membership, acknowledge our heroes, call for attendance, and celebrate volunteerism right here in the hood. 2) Business Development Guru- help EVNA create a comprehensive financial model that will help us grow (appropriately) our inbound revenue stream and outbound support and grant giving capacity. This could really be a an exciting project: can you imagine bringing together corporate sponsors, local businesses, and our members/ residents to create a full cycle financial model of mutual support and benefit- OMG! (Sounds weird, but I can explain). Ping me- I'm the prez, and I can get you introduced to the right people to put your talents to work! mark.mchale@evna.org. Trust me- this volunteering stuff is way better than you can imagine sitting in front of your computer right now. You'll feel better you got involved. 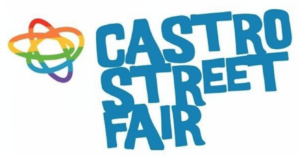 The Castro Street Fair has changed a lot over the years, from a celebratory event in the early years, to a Little Folsom Street Fair, to a more family friendly social event these more recent years. Make the Castro Street Fair Great Again! 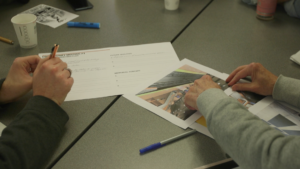 The Friends of Harvey Milk Plaza and architects Perkins Eastman are ready to share the designs created in response to the community feedback gathered in the community meetings held in February and March! And YOU ARE INVITED to attend the unveiling at Community Meeting #3, to be held from 3:00-4:30 p.m. on Saturday, April 7, 2018, at Most Holy Redeemer Parish Hall at 100 Diamond Street in San Francisco. You will have a chance to be among the first to see the design proposals, and interact with others to provide comment and feedback on each of the options. Your input is so very important, especially at this stage, where the actual design is taking shape. Don't miss your chance to be part of the process! If you were unable to attend the meeting on March 3rd, please contribute your input regarding the topics covered here. The 4th meeting is still TBA, but is planned to be an Open House format. You will receive meeting details, including date and location, once confirmed. Finally, a huge THANK YOU from us for the time and enthusiasm you are bringing to this effort to #HonorHarveyMilk in the plaza that bears his name. The forward momentum will continue with the input gathered from these community meetings and through online engagement. 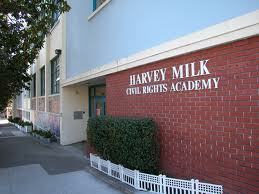 We are so grateful that you share our desire to honor Harvey’s contribution to our neighborhood and to our community. We look forward too seeing you on April 7th! Tell your friends and neighbors too! We had a full agenda at last night's public meeting. With 40 neighbors in attendance, we listened to Rafael Mandelman and why he's the best candidate for D8 Supe; what the SFMTA is up to regarding the Twin Peaks Tunnel Improvements; and below, we hear from the SF Public Utilities Commission representatives on the upcoming rate hikes that will pay for its much needed capital improvements projects. Quality of Life working is reaching out to other local groups working on street behavior and homelessness on a fact finding mission to better understand how we can work with/compliment what's going on already. Newsletter/Marketing committee is making advances on streamlining the Eureka! publication. Training and Education is gearing up and showed attendees how and when to use the SF-311 app successfully. The Board of Directors is convening a special meeting in April, led by Alex Lemberg, to review and make recommendations for edits/changes to the governing documents of the Eureka Valley Promotion Association (EVPA, our official name). Stay tuned for a membership input forum coming up after May 2018. 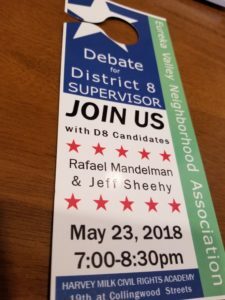 Our next public meeting is May 23rd- EVNA will host a live debate between Supervisor Jeff Sheehy and Candidate Rafael Mandelman. It promises to be an informative and lively discussion on why either men are the best candidate to address the issues we face in Eureka Valley. See you there! Be sure to make the meeting this week Wednesday- you won't want to miss it. Come early and meet some of your neighbors! Kim West from SFPUC will update us on our utility rates for water and sewer. Kelley McCoy from SFMTA will update us on the Twin Peaks Tunnel Improvements schedule. Committee Updates- they've been busy!